Adobe FrameMaker is a desktop publishing application that is popular for large documents. It is produced by Adobe Systems. Although (or perhaps because) FrameMaker has evolved slowly in recent years, it maintains a strong following among professional technical writers. As an all-in-one package optimized for technical writers, FrameMaker remains unrivalled. But for deployment in high-end technical publication departments, native XML authoring systems are starting to replace it. 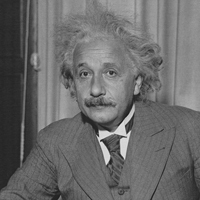 FrameMaker has more or less kept up with the times in supporting new standards: XML, Unicode and WebDAV are examples. But at heart it is a proprietary single-desktop-oriented system based on a binary file format. Configuring it for XML is a difficult, expensive process and some XML features do not nicely integrate with built-in FrameMaker features. While problems exist in FrameMaker's XML incarnation, FrameMaker supports authoring in an XML-based workflow considerably better than Microsoft Word. FrameMaker became an Adobe product in 1995 when Adobe purchased Frame Technology Corp. Adobe added SGML support, which eventually morphed into today's XML support. In April of 2004, Adobe ceased support of FrameMaker for the Macintosh. This reinvigorated widespread rumours that product development and support for FrameMaker are being wound down. Adobe strenuously denies this. AnyCount automatically produces correct word counts, character counts, and line counts for single or multiple files in .MIF file format. Word, page, line and character counts in Running headers. 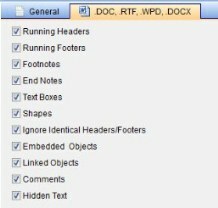 Word, page, line and character counts in Running footers. 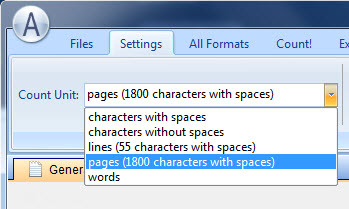 Word, page, line and character counts in Footnotes.